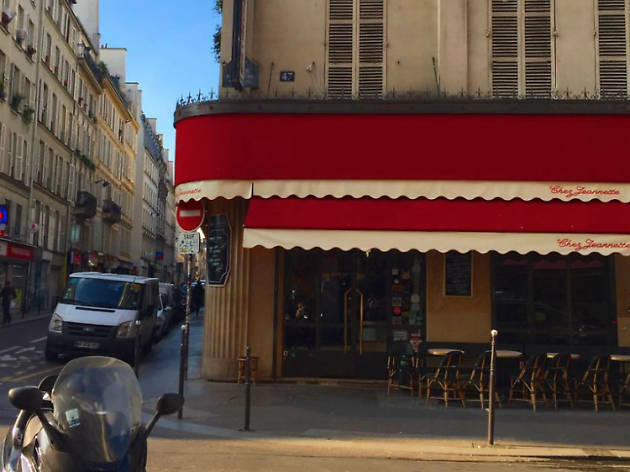 A trendy Saint-Denis bar that has truly stood the test of time. Just when it looked like Paris would be flooded with trendy loft-style watering holes, in came the credit crunch and out popped the idea of capitalising on the funky period features that already exist. Chez Jeannette (the bar) pioneered that idea a few years ago when Jeannette (the owner) sold her beloved joint to a young new team who promised not to change a thing – including the name. 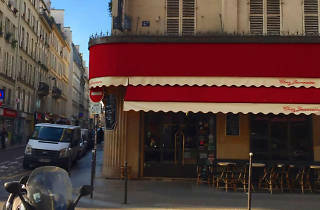 The monstrous 1940s dust-coated lights, leaky loos, tobacco-stained wallpaper and PVC-covered banquettes have finally been cleaned up (although the formica bar still gets sticky glass marks), and the café has become one of Paris’s hippest spots for an after-work bière. Look out for the cocktail of the day such as a killer Moscow Mule. If you're hungry, dishes range from €13 to €22 and are usually an inventive twist on a French classic, all prepared with super fresh ingredients. Expect soups, salads and delights such as tuna steak with ratatouille, among more rustic dishes like entrecôte de Salers or leg of lamb with green beans. At 8pm, the fluorescent lights go off and candlelight takes over to a cheer.